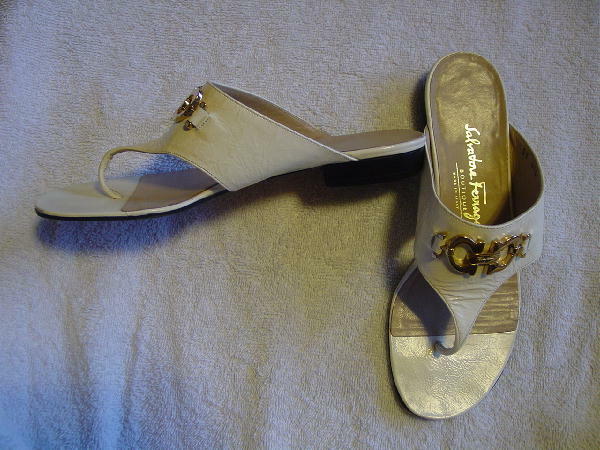 These light bone patent leather thong sandals were made in Italy and are by Salvatore Ferragamo Boutique. 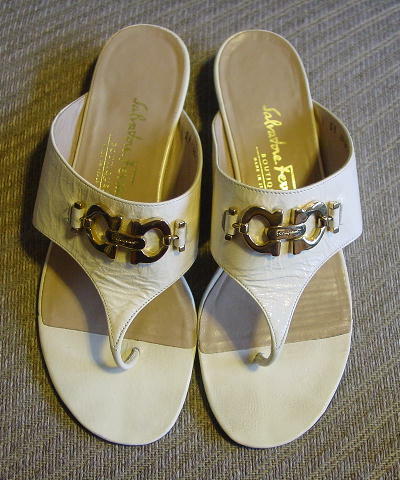 The toe bed area has some darkish toe prints and the rest of the insole is in a light tan leather and so is the upper strap lining. 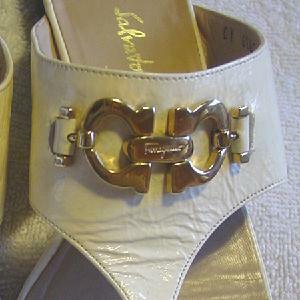 On the center of the upper strap is a gold-tone metal Ferragamo logo with an etched Ferragamo on the center bar. 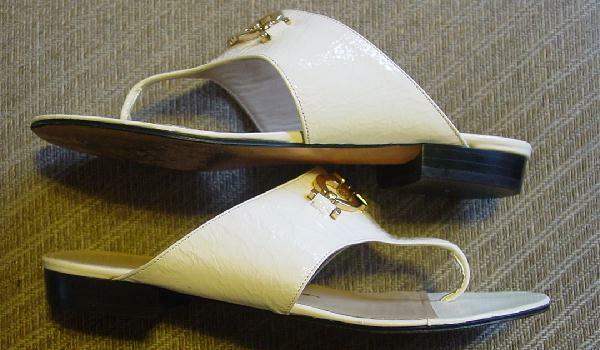 They have low stacked heels and leather soles. The right shoe's upper front edge above the 2nd toe to the left of the big toe has some line scuff marks. 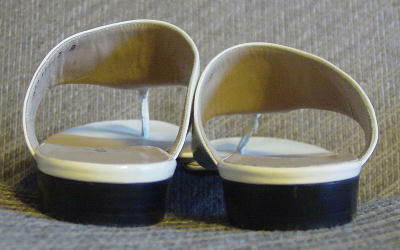 The right heel has a vertical line mark. They're from a Hollywood actress. She sold them because she now takes a larger size since having a baby.